Corrugated carton packaging is all made from cardboard sheets. These sheets are composed of 3 layers of paper, the first two of which are conditioned and heated. One is wavy and glued to the second, which creates the single fluting. A third sheet of paper is then glued to this single fluting sheet, and that creates the corrugated board. This end-product will be dried and cut in height and length to meet the desired packaging needs. So, what is the point of using this material for packaging? And what are its main characteristics? We will explore these aspects below. On the one hand, carton is biodegradable, unlike plastic or metal. Carton is a material that is recyclable and therefore decreases environmental impact. On the other hand, its practical aspect is a formidable advantage over other packaging materials. It is suitable for all types of products including, but not limited to, food. 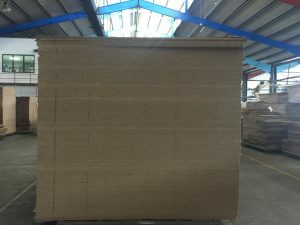 Corrugated carton packaging can be stacked, which is especially convenient for boxes and fruit trays that are accumulated on each other on the pallets and in the blinds. Finally, ready-to-sell packaging protects products. It also facilitates the products’ transport and shelving in supermarkets. The versatility of ready-to-sell packaging makes them an increasingly popular carton product. Also, carton meets hygiene requirements of food products. It is only used once, which therefore avoids the rinsing and cleaning required for crates and other plastic packaging. It is shock-resistant, which protects its contents. Finally, the risk of finding chemical residues on the contents of carton packaging is virtually inexistent compared to plastic packaging. The possibilities of printing and cutting corrugated cardboard make it an attractive packaging material for industries that use for advertising. Another undeniable advantage of corrugated carton packaging is its profitability. Its use can simplify logistics and make it practical, which can lower your overall storage and transport costs. Empty packages do not have to be returned: corrugated carton boxes can be folded, stacked and stored in a minimum of space. The elimination of the cleaning step of the packaging also saves cost and time, and its lightness makes it easily movable without mobilising much resources. Finally, the characteristic that is a pledge of confidence for industries must be noted: reliability. A broad array of tests is carried out on this material. and the maximum compressive strength of the package. These unequivocal attributes make this lower cost material a reliable choice, easily adaptable to your needs and requirements.